Security comes first for every person and vehicle monitoring system. A new class of Safe OBD2 tracking & diagnostics dongle is being developed by Technoton Engineering. It has a built-in hardware firewall to protect vehicle CAN bus electronic network from external interactions. How connected car can be influenced via the Internet - video case (news link). Technoton Engineering, a prominent loT solutions developer, announces its OBD2 compact sized vehicle GPS tracker project coming to a final stage. 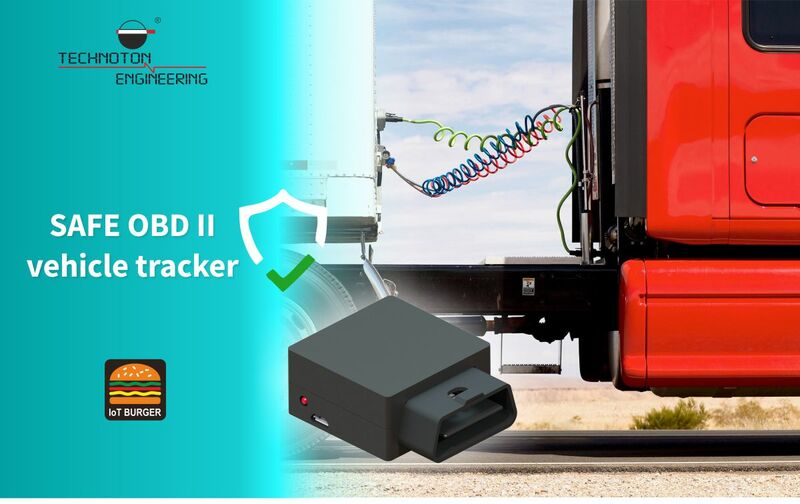 The first SAFE OBD2 GPS tracker supports one of the most popular protocol SAE J1939 and able to establish a TLS(SSL) secured connection between CAN bus and a Cloud. MQTT open source communication protocol makes it possible to connect with the most popular web platforms! SAFE OBD2 GPS tracker is secured from sending any malicious CAN messages. SAFE OBD2 GPS tracker is offered on the market as a customized white label product or as a complete set of engineering documentation including PCB layout and embedded software.